One small pet welcome. Towels are available at £4 per person per week to be paid on arrival. 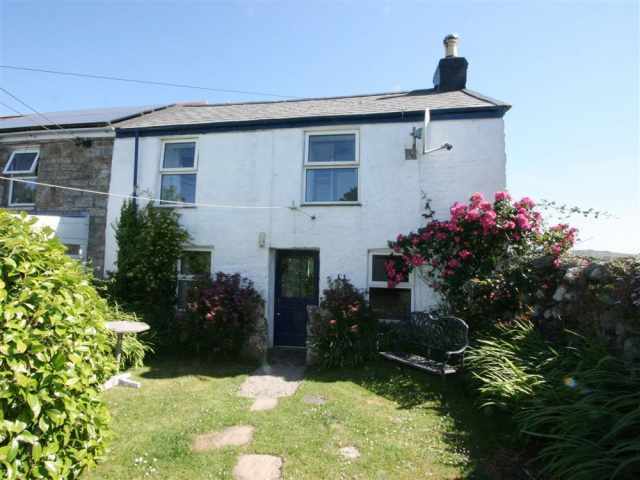 An attractive end cottage with views across the sandy estuary to Rock, in a group of stone built barns quietly situated in lovely countryside, 100 yards from Old Town Cove. Once part of the farm at Lower Halwyn the cottage is set on 3 floors, with its own parking area immediately outside. 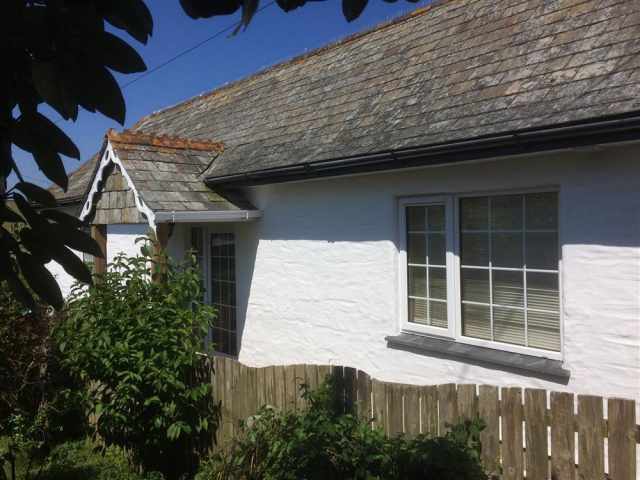 The cottage is set on rising ground approached by a winding lane which continues down to Oldtown Cove and the Camel Trail giving access on foot and by bicycle to Wadebridge and the harbour town of Padstow. St Issey with a pub is 1.5 miles away and Padstow is about 5 miles by road or 15 minutes by bike along the trail. The front door opens to a slate floored hallway, adjacent to which are a shower room W.C. with hand basin and heated towel rail, and an attractive ground floor bedroom with a double bed and country views. At the further end a spiral staircase with open tread wooden stairs built into a curved, brick-faced wall leads to the first floor and a comfortable living room, with views down to the sandy creek below, where a fitted kitchen area has smart pine units and a matching dining suite. The spiral staircase continues up to a 3ft twin bedded room tucked into the apex of the roof with rural views from a Velux window and an ensuite W.C. with hand basin - best suited to children because of the low headroom (doorway approximately 5ft high). To one side of the property is a small lawn, and across the lane a store has been provided for bicycles and beach gear.